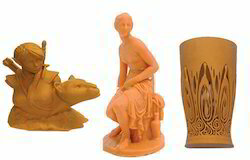 Manufacturer & Supplier of a wide range of products which include 3D Prototyping Services such as Master Pieces Services, Architecture Structure Services and Statues 3D Prototyping Services. We are offering a wide array of 3D Printing Services. These services are rendered under the direction of experts using best grade 3D technology.